Paid maternity leave for working mothers improves the mental health of the mother, according to a recent paper from a WSU scientist. That happiness reflects down to their children, as many other studies have shown that babies are affected by the happiness, or un-happiness, of their mothers, Mandal said. In the United States, new moms are guaranteed 12 weeks of unpaid leave in certain work situations under the Family and Medical Leave Act. However, only a handful of states such as California mandates any form of paid leave. 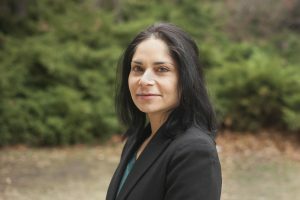 In the study, published in the October issue of Maternal and Child Health Journal, Mandal looked at the mental health of women who worked full-time before giving birth who returned to work within 12 weeks of childbirth, after 12 weeks, and those who didn’t return to work within one year. Women who returned to work in under 12 weeks had higher negative psychological effects than those who returned after 12 weeks. However, the difference between the two groups was largely negated when the women received paid leave. Also noted in the study is that both groups, even those without paid leave, tend to be happier than women who don’t return to the workforce within a year. Some companies, famously Google and other tech companies, do provide some paid maternity leave. While paid leave reduces turnover costs and retraining costs, it isn’t common. But in most other advanced economies around the world, paid maternity leave is the norm. Mandal wanted to see if the benefits went beyond helping companies retain talented women.